In the spirit of National Volunteer Week we are highlighting the many ways to give back to your community at ArtStarts as we celebrate our talented and diverse volunteers who have supported us with their creativity and passion. 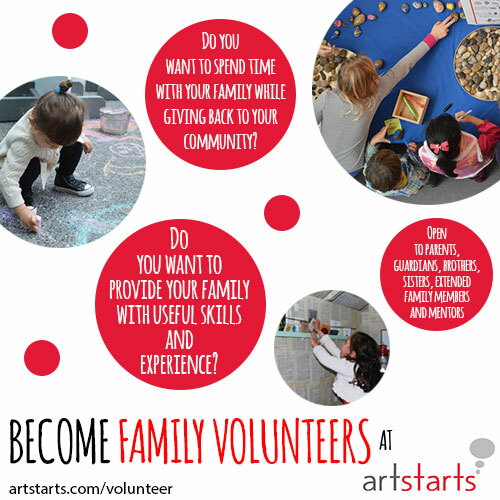 Volunteering together at the ArtStarts Gallery is a great way to spend quality time together on weekends while also providing kids with useful skills and experience. Family Volunteers provide exhibition tours to the public, assist with special events, lead gallery activities and help out with light administrative duties. Learn more.